This year we have been doing more fine motor activities in my house as I have two preschoolers (almost 3 and just turned 5) living with me. It took a while for my 5 year old to even care to do anything that involved sitting at the table, but since he is interested now we are going with it. The three year old just likes to do what his brother does! Here are some of the ways that we are working on combing gross motor and fine motor skills. Many times I’ll work to add some form of gross motor activity in as well. 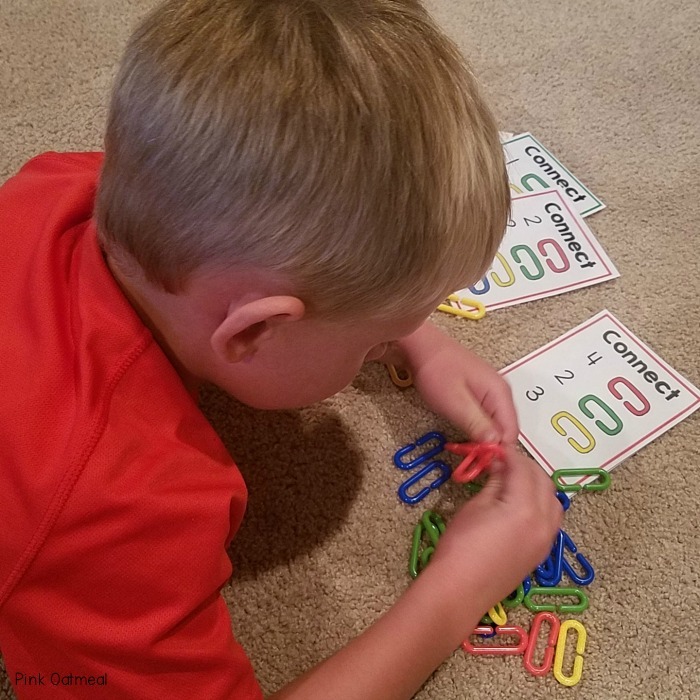 Here are three ideas on how I’ve tried to combine the two activities. After all, we need strong cores and stable bodies to be able to perform fine motor skills! An example of this may be something like going prone on a scooter board weaving through cones. At the end of the obstacle course there would be a fine motor activity such as using a tongs to transfer objects. If you have been around here long enough you know that I love themes. I think they make it more fun. The other day my five year old asked what his grandpa’s “theme” was for his party. So, you get it, we like themes. 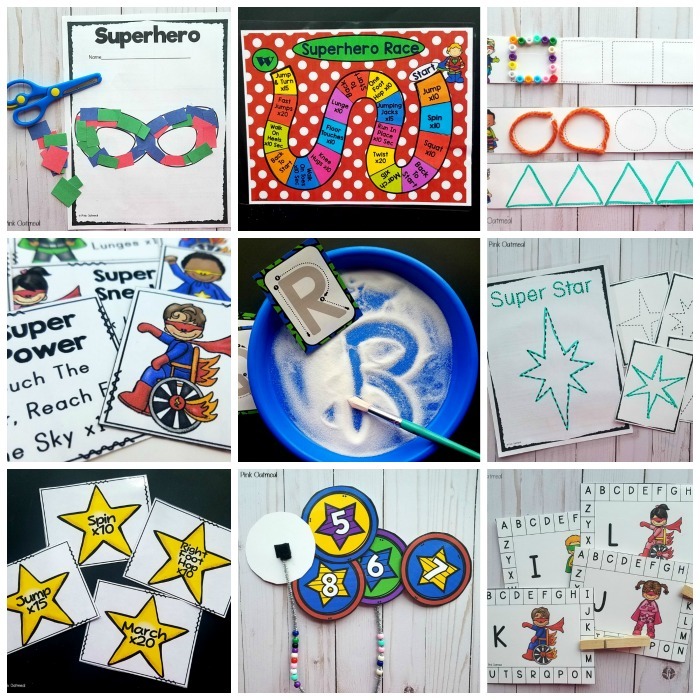 An example of themes is this week we did superhero brain break cards and then tried some superhero fine motor activities. 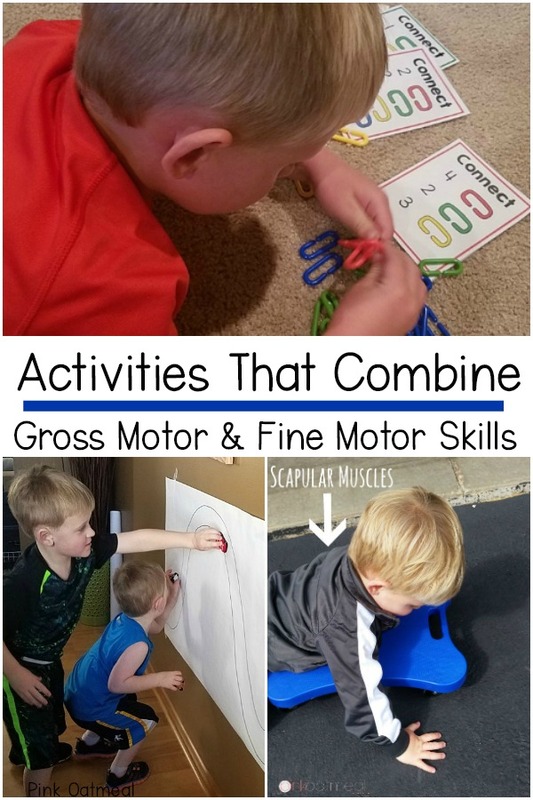 I love this one because it works on so many great things that are important for both gross motor and fine motor skills including wrist extension, bilateral coordination (example: stabilizing and paper and writing on it), shoulder and arm stability etc. 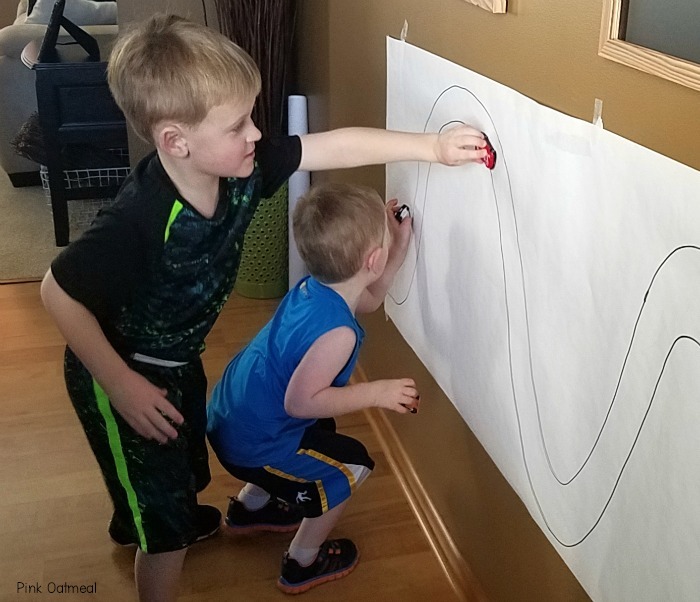 The vertical surface can also be worked on in different positions including standing, high kneeling, or on a stability ball. Yes! Tummy time is still important as kids get older. This position promotes shoulder and core stability. While tummy down kids can work on a variety of different fine motor activities such as dot markers, play dough, coloring etc. See those cool task cards he is working on? Those can be yours! They are in the freebie library. Get your set now! 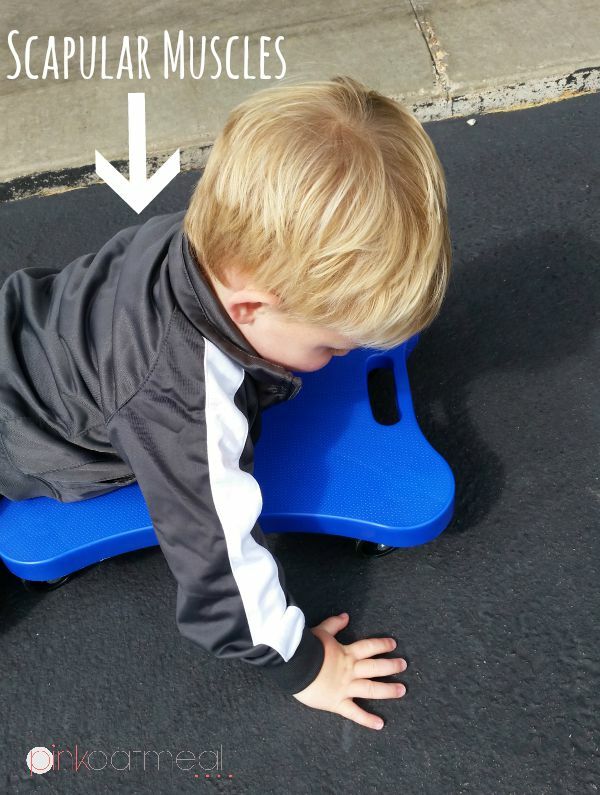 Check out even more gross motor activities and ideas from Pink Oatmeal!